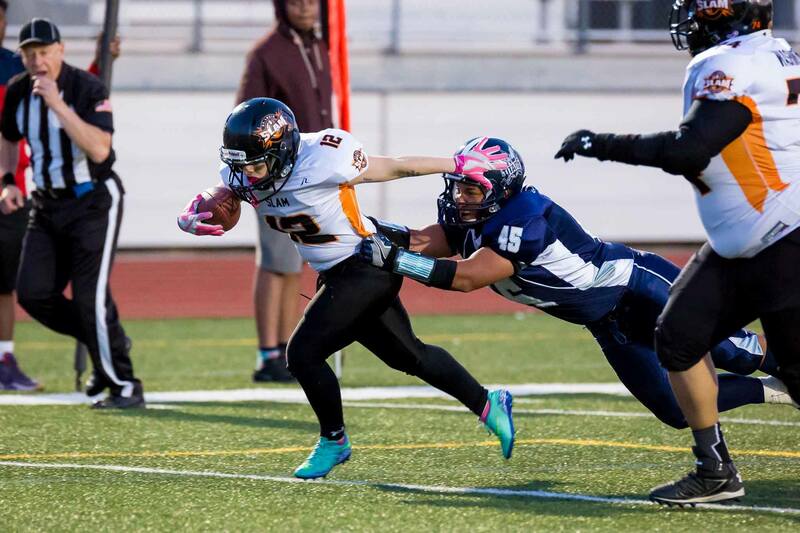 The St. Louis SLAM women’s tackle football franchise has dominated their competition through five games in their 2017 Women’s Football Alliance (WFA) campaign. 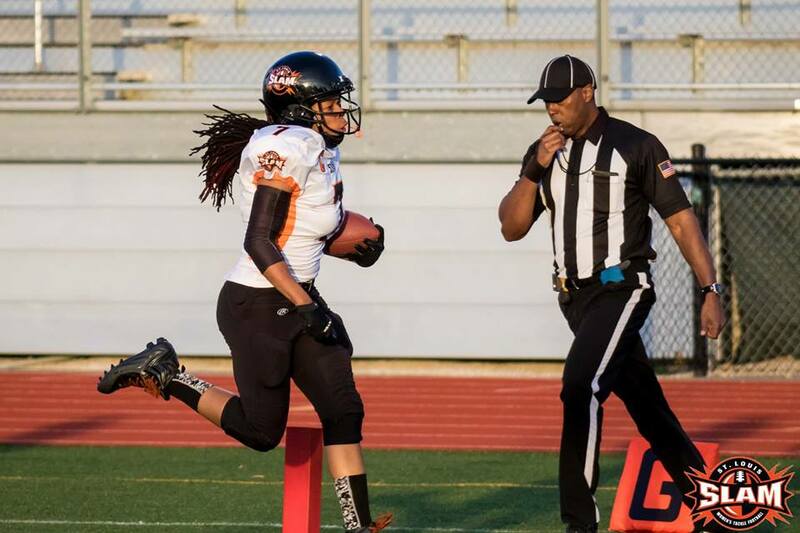 Currently 5-0, the Gateway City gridiron goddesses host the Indy Crash Saturday at 7 p.m. at St. Mary’s High School (4701 South Grand). 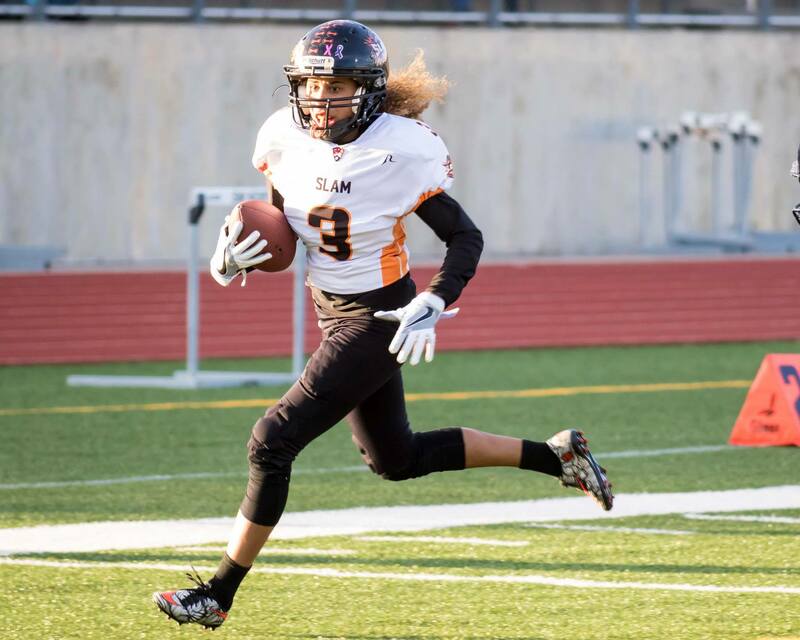 The SLAM, the defending WFA Tier II National Champions, maintained their unblemished record with last Saturday’s 42-8 home thumping of cross-state rival Kansas City. Up 14-0 at intermission, St. Louis went on a scoring frenzy and the ensuing 28-8 push resulted in the SLAM’s eleventh straight victory. Anchored by the offensive line, paced by Antonia Washington, Juan Snow, Marion Ball and a host of others, running backs Taylor Hay, Mary Altepeter and Tawna Rodriguez guide the ground attack while receivers Kaylee Neutzling, Kim Kinsella, Danielle Price, Keyonna Smith and Chelsea Clay snare six-point passes from quarterback Jaime Gaal. Through five games, the SLAM’s offense has outscored the opposition 162-20. On the defensive side, St. Louis has only surrendered three late-game touchdowns. Tiffany Pugh, Raven Williams, Jelani Kelly, Robyn Morrow, Pamela Green, Brooklyn Bastain and others will set sights on keeping the Crash at bay. 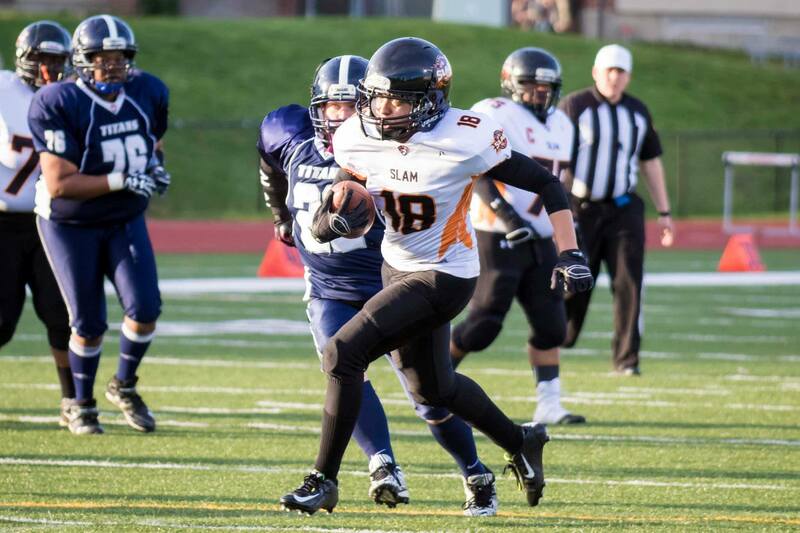 Saturday’s meeting will be a re-match of both squads’ WFA season opener in early April, where the SLAM posted a 31-6 road triumph. After their season opening setback, Indy (1-4) proceeded to drop their next three games. On the upside, the Crash claimed a 32-6 win over Madison on May 6 to notch their first win of the season and looks to record back-to-back wins. Meanwhile, the SLAM aims to retain traction in the WFA Tier II calculated rankings’ hierarchy by recording an unprecedented twelfth straight victory. Admission at the gate is $13 while children 10 and under are free with an accompanying adult. 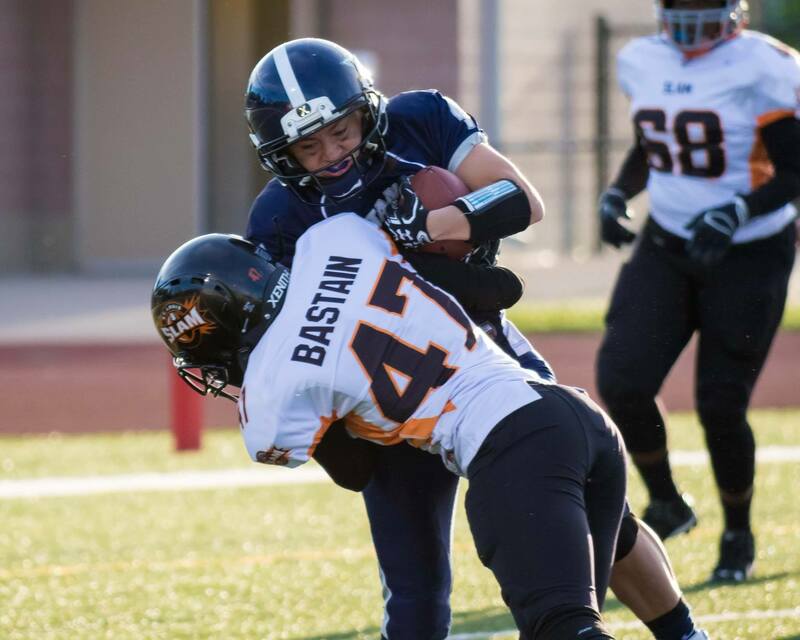 For more information on SLAM Football, go to their official website. Arch City Sports will be in attendance at Saturday’s game and will have a full report Sunday. Cardinals continue to roll, beat Pirates 4-2! In wild comeback, Cardinals beat Cubs 10-9!